Bounce house parties weren’t in existence during or right after the Civil War when the Sheriff of Suwannee County, Florida had a small area of land named after him. His name was Elza B. Lealman. Elza took up farming full-time and he and his wife had 10 kids. I bet he would have liked the idea of a way to entertain all his offspring at once. Too bad our bounce house rental business (Done Rite Party Rentals) wasn’t around to make that happen back then but we are available in the city of Lealman now. We are a family company with party bounce houses and other inflatable rides for rent. Whether you live in Lealman with one child or ten, a birthday party that avails itself of entertaining and adventurous rides, such as bounce castle houses, moonwalks and water slides is just the ticket to establish sure-fire fun. Kids love to run and jump and bounce. What better way for them to expend that energy than by partying in an inflatable spacewalk or any of our other bounce rides? Don’t limit your party choice to birthdays. A family picnic can be much more fun if you add our bounce house rentals along with a water slide. 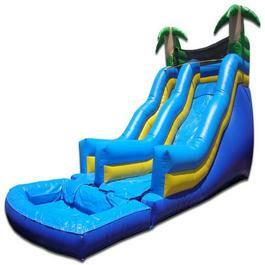 Whatever the occasion, Done Rite Party Rentals will be happy to provide you with any inflatable ride of your choice. 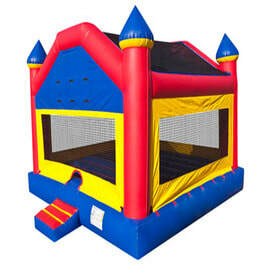 Our bounce houses and castles come in various sizes and themes. Our water chutes range from short to tall. We offer something inflatable for everyone. 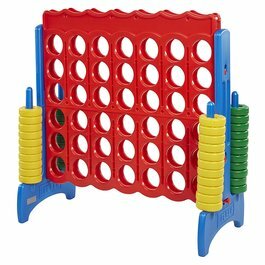 We have a nice selection of interactive games to rent. Just ask. Planning a playdate for your son or daughter? An innovative idea would be to rent a Princess bounce castle or sport bounce house and make it the best play time ever. 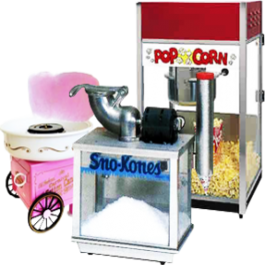 Done Rite Party Rentals can be set up in your Lealman backyard. We’ll access the place if you have the space. All of Done Rite Party Rental inflatable bouncers and slides are delivered and placed securely in place by our company workers. Your time is our time so all inflatables and party props will be up and ready to go before the party starts. If you need tables and chairs...no problem...we can provide those. 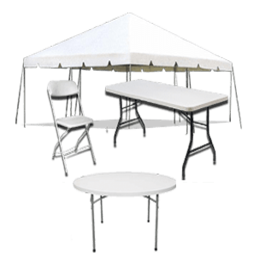 Done Rite Party Rentals has protective tents for rent if the sun proves to be too much for your bounce party guests. Our neighbors in the town of Lealman, Florida, as well as other customers in Pinellas County, are important to us. Safety is a priority,,,,therefore, all bouncers, water chutes, spacewalks and inflatable structures are inspected on a regular basis. For health precautions, all inflatable party equipment is cleaned and sanitized before and after each use. Join the in-crowd and plan a super cool celebration in your town of Lealman by getting in touch with Done Rite Party Rentals. Our company is licensed and insured and follows all city and county codes.